Our cloud-based 3D printer management software, built-in touchscreen interface, and automatic material tracking make the Metal X system the simplest way to manufacture metal parts. Save days of waiting for machined or cast parts. Print complex geometries like this impeller and have your part the next day— and with the excellent corrosion resistance of 316L stainless steel your parts are fully functional and ready to use. The strength and surface hardnes of 17-4 PH stainless steel enables 3D printing functional toothed parts, like this camshaft sprocket. Parts that would be infeasible to machine or cast are easy to print with Markforged. This complex aircraft bracket design takes full advantage of the ability of the Metal X to print parts which are both surprisingly light and incredibly strong. 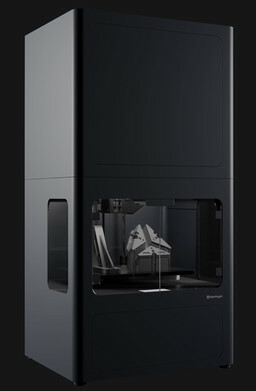 Based on our 4th generation composite 3D printing technology, the Metal X is a brand new kind of metal 3D printer. By printing metal powder bound in a plastic matrix, we've eliminated the safety risks associated with traditional metal 3D printing while enabling new features like closed-cell infill for reduced part weight and cost. At the intersection of 3D printing and metal injection molding, ADAM is an all new way to build metal parts. CAD your part, upload the STL, and select from a wide range of metals. The Eiger software does the rest making printing the right part easy. Metal powder bound in plastic is printed a layer at a time into the shape of your part. Parts are scaled up to compensate for shrinkage during the sintering process. Printed parts go through a washing stage to remove some of the binder. They are then sintered in a furnace and the metal powder fuses into solid metal. Now comprised only of pure metal, the final parts are ready for use. They can be processed and treated just like any other metal parts. 17-4 PH stainless steel combines high strength, corrosion resistance, and hardness, making it widely used in aerospace, medical and petroleum industries. We use it to make assembly fixtures and tooling for our Industrial Series 3D printers. Also known as marine-grade stainless steel, 316L stainless steel exhibits very good corrosion resistance and excellent weldability. A2 tool steel is air-hardened with excellent impact resistance. We use it to make punches, dies, and form tooling for our Industrial Series printers. The high carbon and chromium content of D2 tool steel provides great hardness and abrasion resistance (but not as tough as A2). D2 is often used for cutting tools. Inconel's strength combined with its impressive heat resistance makes it ideal for heat and pressure shielding applications. This Nickel-based superalloy is commonly used in jet engines and medical applications, and is very hard to machine. It is also very chemically resistant. Bearing the highest strength-to-weight ratio of any metal, Titanium 6-4 is ideal for lightweight applications and has both high tensile strength and fatigue resistance. It is widely used in aerospace applications such as airframe components and turbine blades. 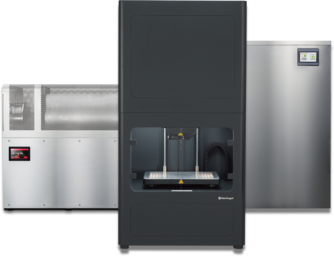 The Markforged Sinter-1 is a high performing, high value furnace—it’s affordable, sizable, and reliable. Featuring 4,760 cubic cm of working volume, The Sinter-1 effortlessly converts brown (washed) parts into their near fully dense final metallic form. Built on 30 years of Metal Injection Molding (MIM) technology, it is ideal for sintering medium sized parts and small batch production. With a huge active hot-zone (19,644 cubic cm, 1,199 cubic in), the Sinter-2 is the perfect solution for large parts or batch production. This workhorse furnace sinters the full range of commercial-grade metals from their washed state into dense metal parts. The Wash-1 immerses the green part in a specialized fluid which removes the primary binding material, leaving the part semi-porous so the remaining binder can easily burn off during sintering. This debinding step purifies the final metal part and helps keep your sintering furnace clean. With a fully enclosed build chamber, ultra-quiet motion system and environmentally controlled material storage, our 3D printers are equally at home whether in the office or on the factory floor. Cloud-connected software and a 4.3” touchscreen comes standard with every printer, washer and furnace. Regular over-the-air updates mean that your Markforged products keep getting better.  Material usage tracking and out-of-material detection help monitor your printers and reduce waste. Just a few of the ways we’re working to reduce the distance from design to part. With automatic version control, real-time fleet management and cloud-based collaboration, Eiger is the world’s most advanced 3D printing software. Designed from the ground up to make manufacturing simpler, Eiger enables you to 3D print plastic, metal, and composite parts straight from your browser. See what you can create with the most advanced metal 3D printing system available.